I was very surprised with this pen. I was told by one of my friends that this is actually a throw-away (disposable) pen meant to give people a taste of writing with a fountain pen. My first thought was, after I’m finished with it, I would throw it. I had yet to try it until then. 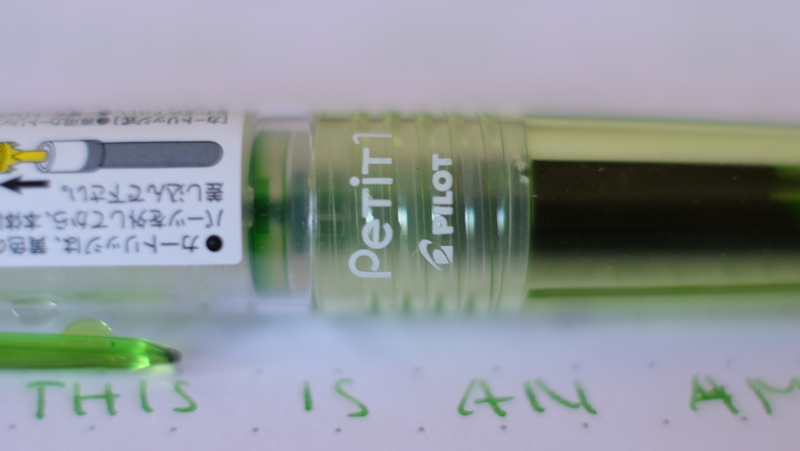 After trying it for the first time, I was a little skeptical, as it was one of the hardest starts I’ve ever had, comparable to the Pilot Hi-Tec C. So I started slowly squeezing the cartridge, in a hope to saturate the feed and get the ink flowing. This took a while, leaving me a little frustrated. After overcoming the hard start, I extensively tested it on my Rhodia DotPad. The nib alone made me question whether this pen was indeed disposable. 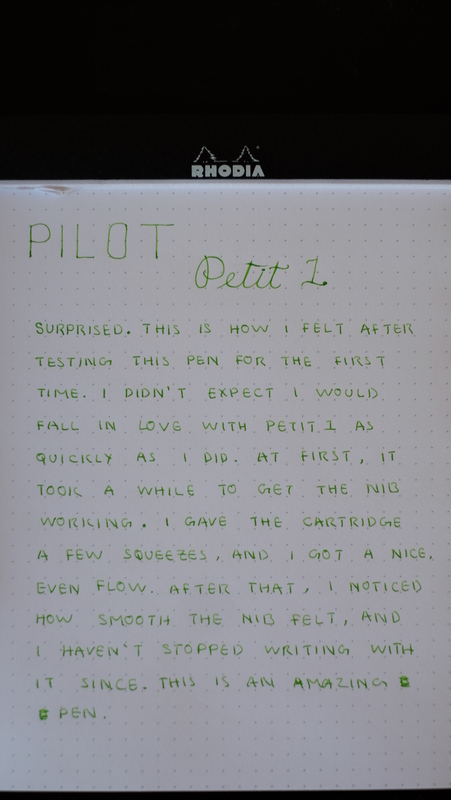 The Petit1 comes with a standard Pilot F nib. I have always steered clear of Japanese F nibs, as they are often the equivalent to Western EF nibs, which are too small for my writing style. Pilot is one of my favorite pen companies, because of their nibs. While in the past, they weren’t very consistent in terms of quality, the same cannot be said now. 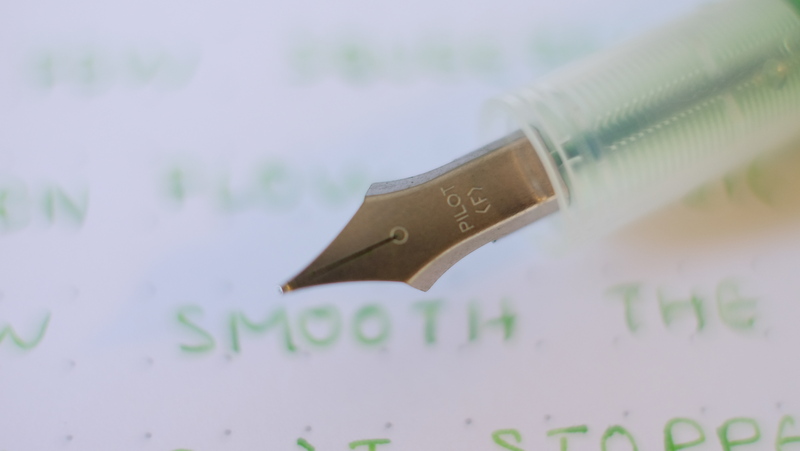 They instituted a completely new and extensive process for QC in the recent past, and it has transformed my experience with any Pilot fountain pen I came across since. 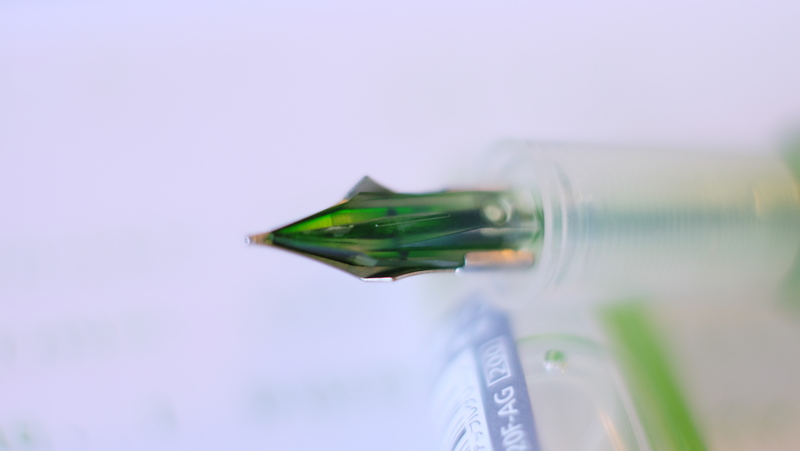 the nib is smooth out of the box, and lays down a consistent line once the feed is properly saturated. When Pilot uses a variation of the word “petite” as the name of one of their lines, you can be assured these pens indeed exhibit this quality. They have found a very balanced shape that is neither too long nor too petite. While the pen is small and can fit into my pocket, it can also comfortably post, allowing a person with larger hands (me) to effortlessly use it. Simple, low-key branding helps keep the overall minimalistic feel to this pen. You can take off the sticker in this picture, but I was too lazy to do so. Overall, this pen managed to really surprise me with its balanced form, minimalistic looks, and amazing nib performance. While it is technically a disposable pen, I don’t see myself throwing it out anywhere in the near future. 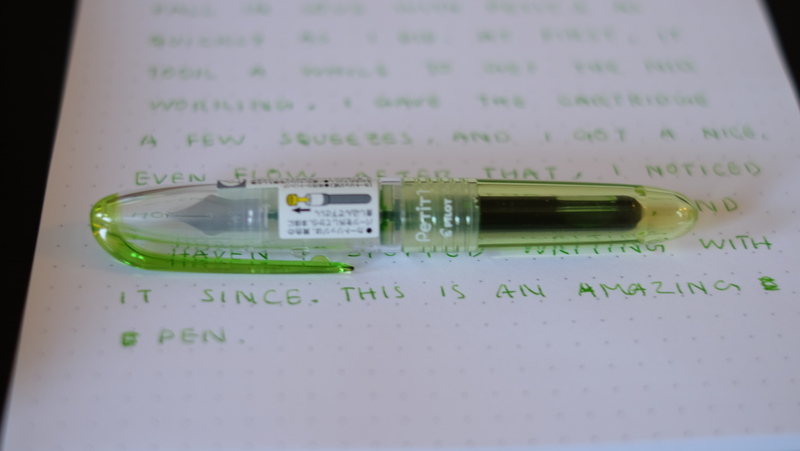 If you want to experience writing with a fountain pen in a variety of vibrant colors, or want to give someone else such an experience, don’t hesitate to give them one of these. Did you miss me? I’m finally back. Sorry for the last 2 weeks not containing any posts, my life was taken over by the dreadful existence known as finals. I was busy studying for them, and I just finished yesterday. 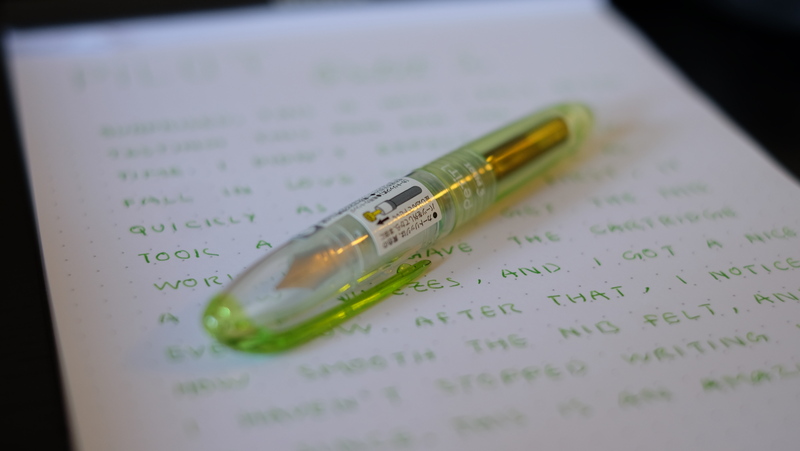 So in celebration, today I will be posting up a new review on a pen that I acquired over my brief hiatus. Content will start going up once again at least 2 times a week until the end of July. After that, my fall quarter starts, and I’ll have to adapt my posting frequency with my new class schedule. So until then, stay on the edge of your seats for a stream of reviews coming your way. So many pencils, so little time. This was one of the many pencils from my JetPens purchase a while back. 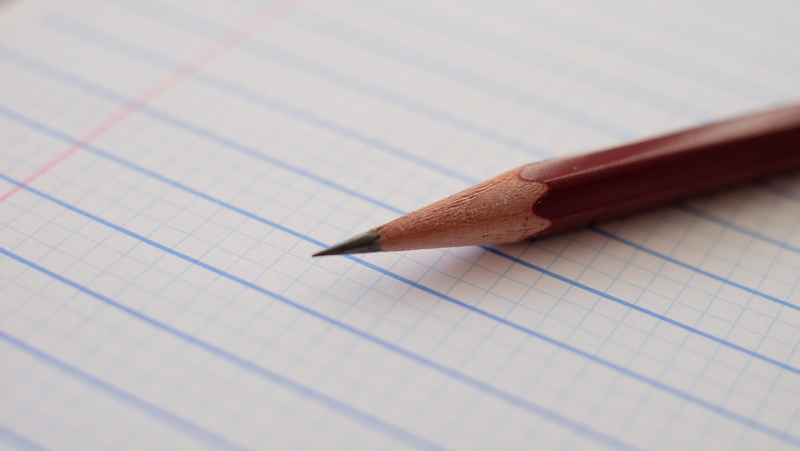 I chose to go back to woodcased pencils for one big reason: nostalgia. Yes, call me sentimental, but the feeling of writing with these traditional writing instruments reminds me of simpler times. This appeals to me in many different ways. To start off, this pencils really looks good. In the looks department, I’d rate it slightly inferior to the Palomino Blackwing 602. That being said, this pen combines a rather unique color scheme to achieve a very balanced aesthetic impression. It looks like something a famous author would use to write his greatest literary masterpiece, but at the same time it could be used by a student doing their math homework. It strikes the ideal balance between design and practicality. Now on to the writing experience. My first impression, in its entirety was: “Wow, this pencil sharpens really well”! After the initial test, the factor that really sold me on this pencil was how long it can keep its point after being sharpened. Spoiler alert, a really long time! 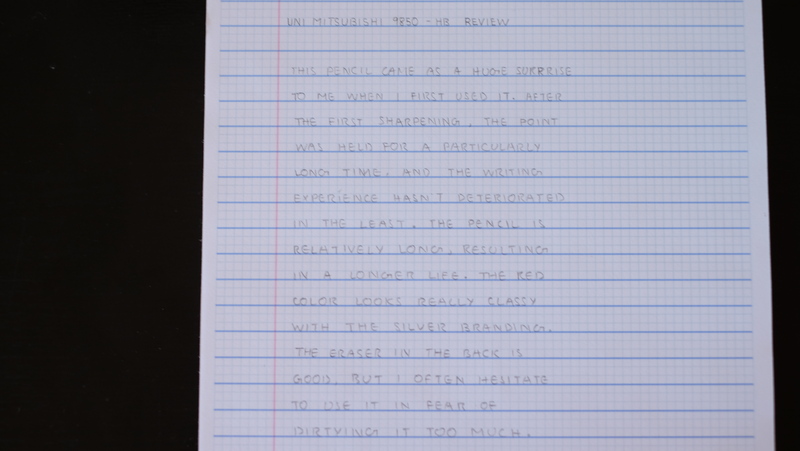 This was very surprising as I have always had my pencil points break after the first couple of letters and just cause the entire writing experience to deteriorate as I go on. I can wholeheartedly say that this was not the case when I used this one. It kept its point for an unusually long time, which allowed me to really enjoy writing out my review. Sorry if it’s hard to see. If you want me to upload a better version, let me know in the comments. Now on to the eraser. The eraser was a huge surprise, as I actively try to not use the erasers on any wooden pencil. This is probably due to the myriad of horrible experiences I have had with them. 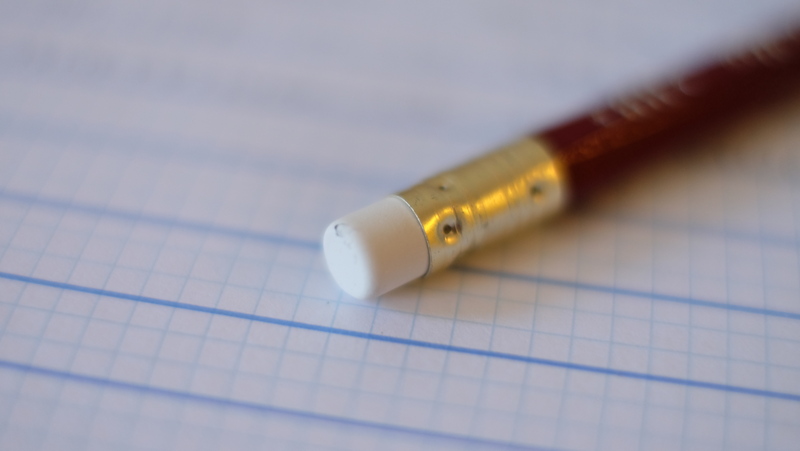 However, after a little testing, I can say that this pencil’s built-in eraser completely blows all the others out of the water. Not even the Blackwing 602’s eraser can compete with this in my opinion. It’s quick to erase and requires minimal pressure, which prevents smudging due to excessive erasing. It clumps together for easy removal, and leaves the paper incomparably clean. The experience is similar when I use a separate eraser. Despite all the good things I have to say, I still try not to use it too much. This is due to the eraser being white. I feel that prolonged usage will stain it, and cause the pen to degrade in looks. That’s just another one of my peculiar habits, for those of you who are more inclined to use it to its fullest, go ahead, because it won’t disappoint you. Overall, I recommend everyone to try using this pencil at least once. I have a feeling that it will appeal to many of you who use pencils on a regular basis. 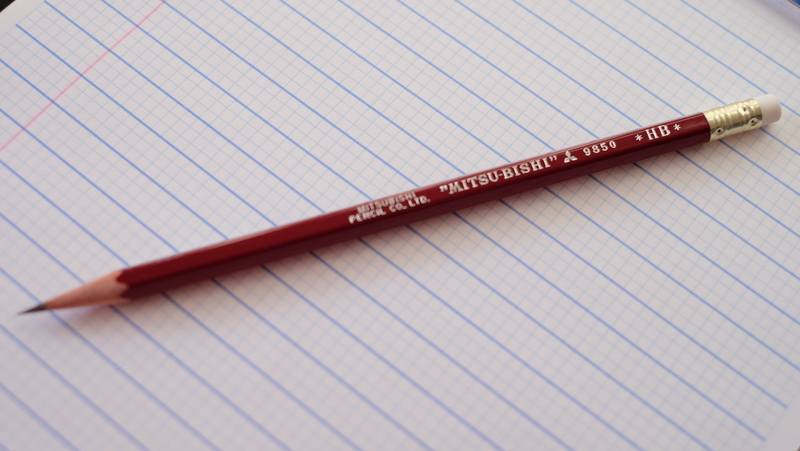 Priced at exactly $1, it is the most affordable pencil of high quality that I have ever used. 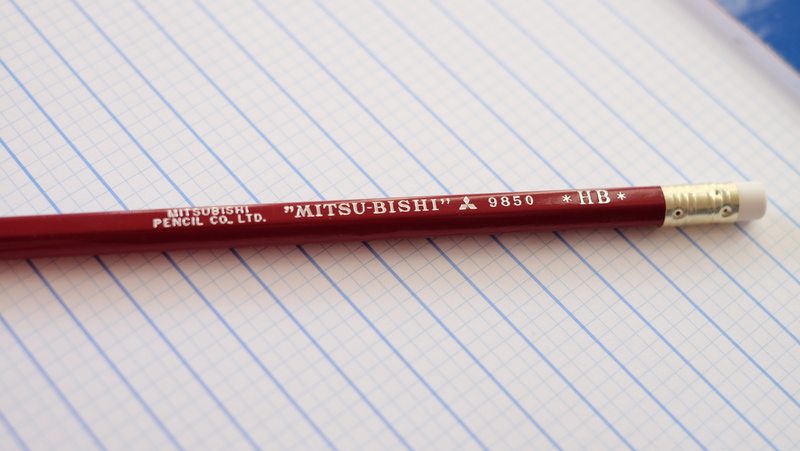 To date I have not found any other pencil in that price range that can match the Uni Mitsubishi 9850 in performance. Try it out, it might just surprise you! It’s been a while. Sorry for the whole week of no content. As you may or may not know, this is the time of the quarter where midterms and other oh so enjoyable exams are given. Last week was difficult to say the least, but I somehow managed to get through it. So from now until June 20th, content will be regularly posted twice a week. More updates to follow. Thanks for your patience, and as always, write on my friends.